Who Receives the Most Acknowledgements at The Oscars? — Visually has analyzed over 450 speeches in the 6 major award categories – Best Actor, Best Actress, Best Supporting Actor, Best Supporting Actress, Best Motion Picture and Best Director – to see if mothersget more credit than fathers or if agents steal the limelight from writers. Map of Contemporaries — Did you realize that Alessandro Volta was younger than Napoleon? See which famous people shared their time on Earth. The Map of Contemporaries project is the history of the world in famous people’s lifespans. This data visualization is inspired by Wait But Why’s blog post about Horizontal History — the idea of taking a “horizontal” slice of time and tracing the lifetimes of all the famous people living at that time. New York City Marathon in Six Charts — six data visualizations by The New York Times. The first chart is a great way to visualize the speed of participants. When the winner of the New York City Marathon crosses the finish line on Sunday, some of the slowest finishers are likely to be running their third miles, just inside Brooklyn. See it for yourself! 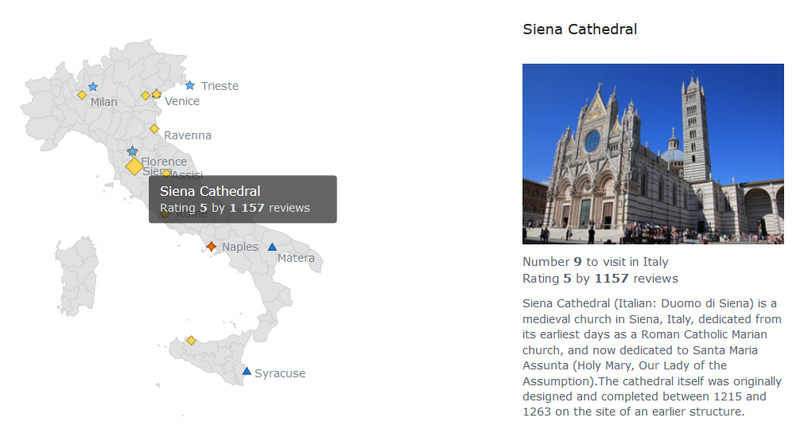 Top 30 Places to Visit in Italy — Check out this interactive JS map by AnyChart, showing top 30 places to visit in Italy (based on data from Tripadvisor.com and Wikipedia). As you can see, AnyChart allows to combine different types of information: our map is linked to images and short text descriptions, which is a great way to provide users with quick reference information. Please note that AnyChart is both flexible and fast rendering solution. A dashboard is a set of charts, which is usually created when you need to show a lot of different information about one particular subject. 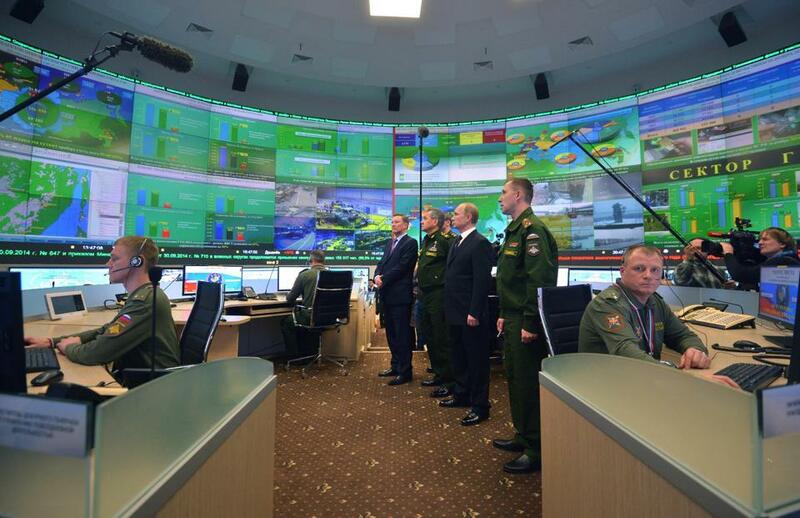 It can contain as many charts (of the same type or of different types) as it is necessary. 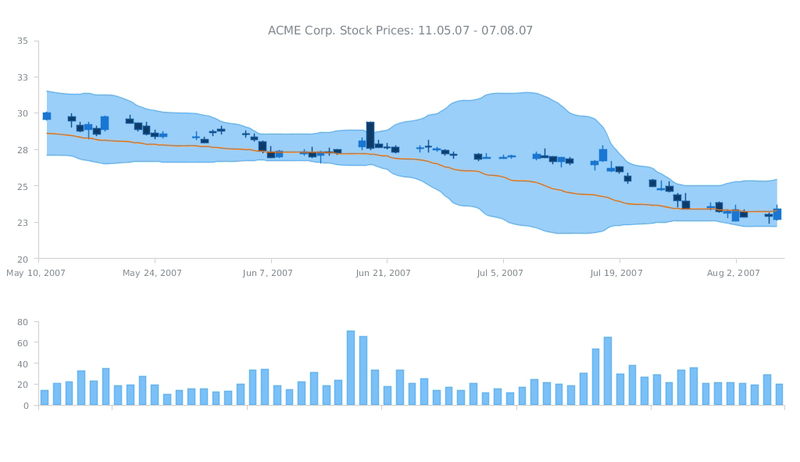 As you can see from the title of this interactive JS dashboard, it shows information about the stock prices of ACME Corporation for the given period. The dashboard contains two charts: the first one is a combination of three chart types (Japanese Candlestick, Range Area, and Spline) and the second one is a simple Column chart. The Japanese Candlestick series in the upper chart shows us the open, high, low, and closing prices of ACME Stocks for each trading day within the mentioned period. Each vertical line represents the range between the highest and the lowest prices during the trading period, and the body represents the opening and the closing trades. While in classical Candlesticks the rise and fall of a stock price are coded with a white-colored and a black-colored body, in this dashboard light blue and dark blue colors are used. Besides the Candlestick series, there are Range Area and Spline series in the first chart. The second chart contains a Column series showing the change in the volume of stocks sold. As you can see, AnyChart is a powerful and flexible tool, allowing you to create sophisticated data visualizations like this JS dashboard. AnyChart offers a wide range of features and chart types, so you can easily implement any visual solution and communicate your data in the best way possible. By the way, we have recently updated the roadmaps of AnyChart, AnyStock, and AnyMap. Check out all these great features that are coming soon! 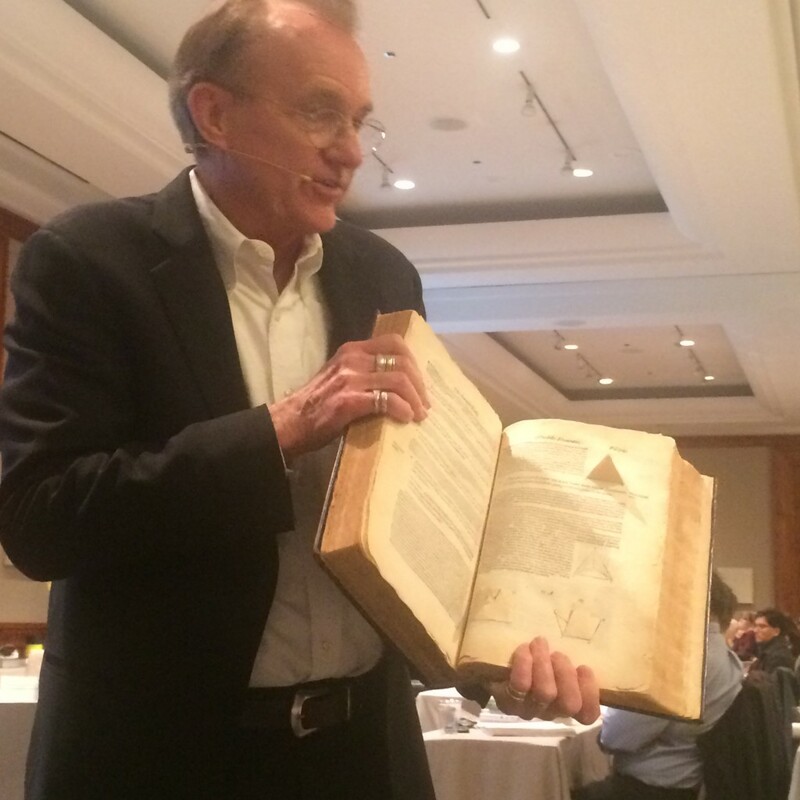 Edward Tufte, which was once called “The Leonardo da Vinci of data”, is a statistician and artist, a professor emeritus of political science, statistics, and computer science at Yale University, and an author of 4 classic books on data visualization. 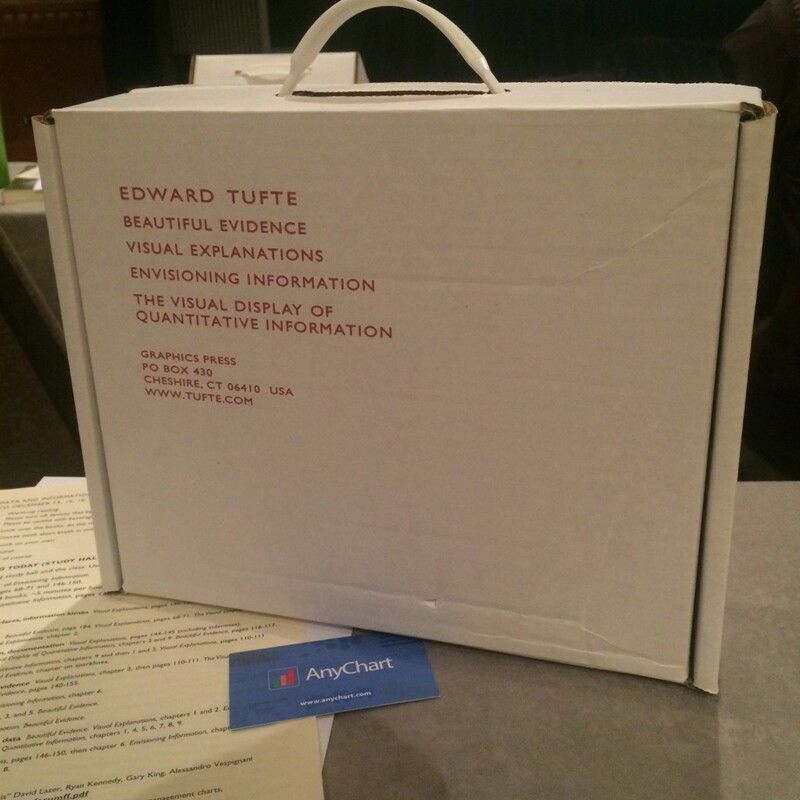 In December 2015, Mr. Tufte read his one-day course in data visualization (Presenting Data and Information) in San Francisco. We were there and enjoyed it a lot! See our short report about this event, along with some photos we took during the lecture. After the lecture, we were lucky to get our books signed by the author and talk to him. 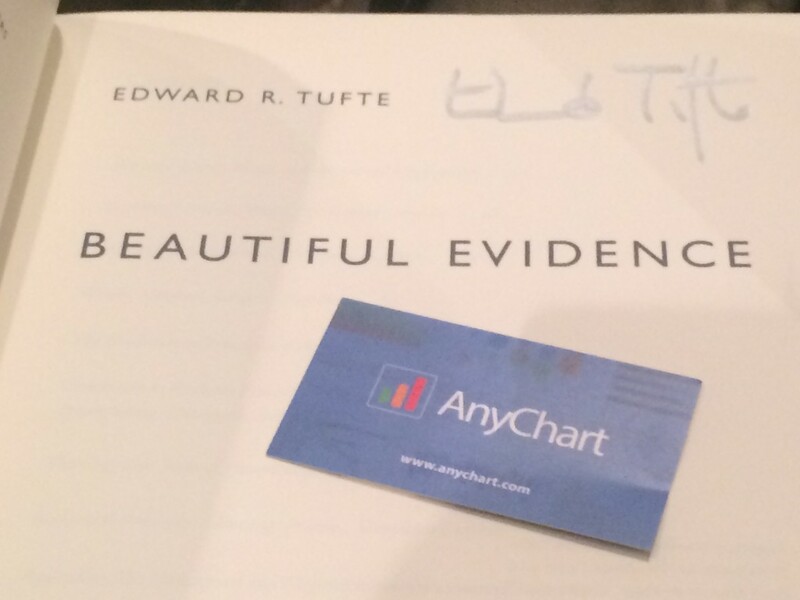 Mr. Tufte remembered us because AnyChart implemented Sparkline Charts – a type of charts he invented. He suggested that we use AnyChart to create some of the challenging data visualizations mentioned in his books. Challenge accepted, coming soon! 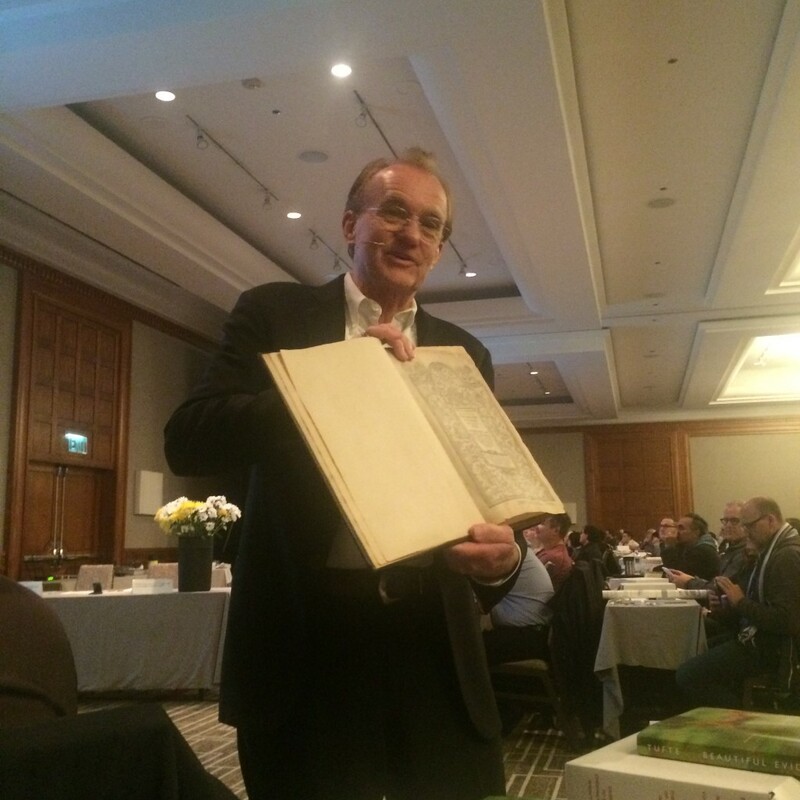 @EdwardTufte Thank you for very interesting day-a lot to think about! You've asked about our sparklines – https://t.co/G0VwY308NZ Thank you! So we ended up getting a boxed set of four books: Beautiful Evidence, Visual Explanations: Images and Quantities, Evidence and Narrative, Envisioning Information, and The Visual Display of Quantitative Information.